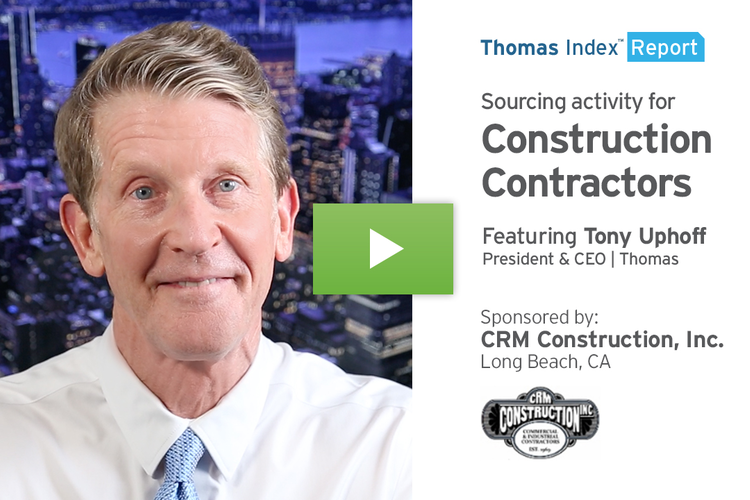 This Thomas Index Report is sponsored by CRM Construction, a leading single source commercial and industrial construction contractor in Southern California since 1969. Hello. 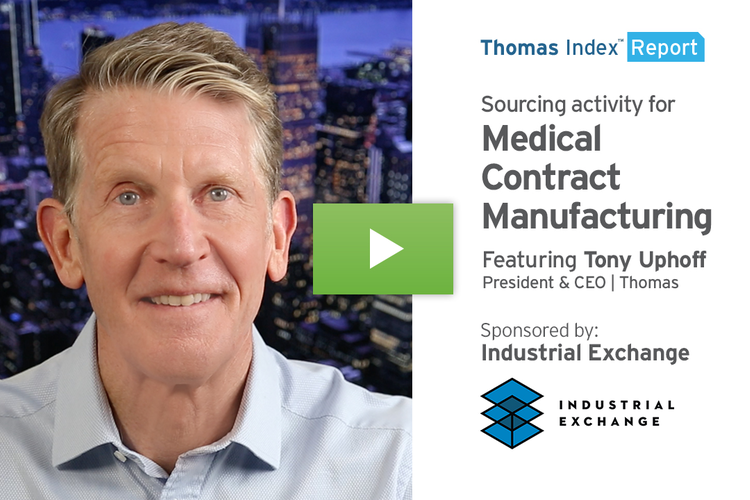 In this week’s Thomas Index Report, we’re going to take a look at sourcing activity for Construction Contractors by users of the Thomasnet.com platform. 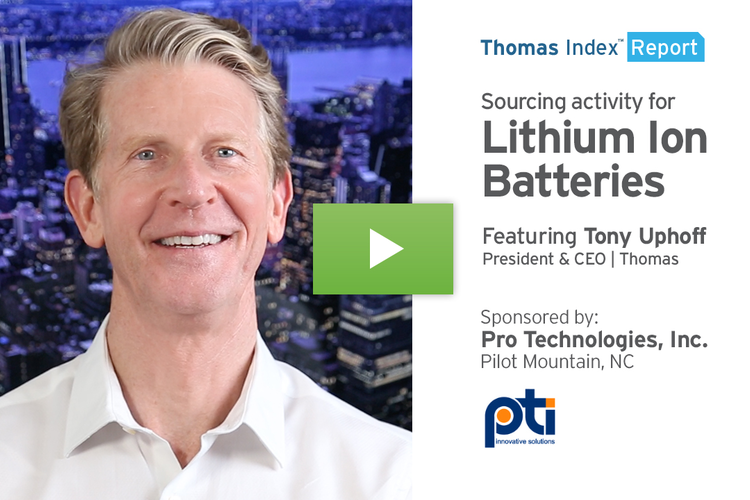 Our data shows that sourcing activity in this category is up 29% year over year. Our data also shows that sourcing activity is up 7% or more in the related categories of Construction Equipment and Construction Estimating Services. According to the most recent report from the Commerce Department, U.S. construction spending rose to a nine-month high in February, boosted by an uptick in both private and public construction projects. While growth in the industry in 2018 cooled somewhat in comparison to the boom it saw from 2012 through 2017, it still grew at a rate of 3%, the same growth rate projected for this year. It’s important to note that on major construction projects, the time it takes from the project’s inception to the day the first shovel goes into the ground can be years. With that in mind, the fact that our data shows a steady increase in sourcing activity for Construction Contractors and Estimating Services could be a good leading indicator for stronger growth in the industry in 2020 and beyond. On a related note, our data shows a tremendous increase in adoption of Building Information Modeling, or BIM technology by design engineers – especially engineers at key firms involved in some of the world’s largest and most complex construction projects. 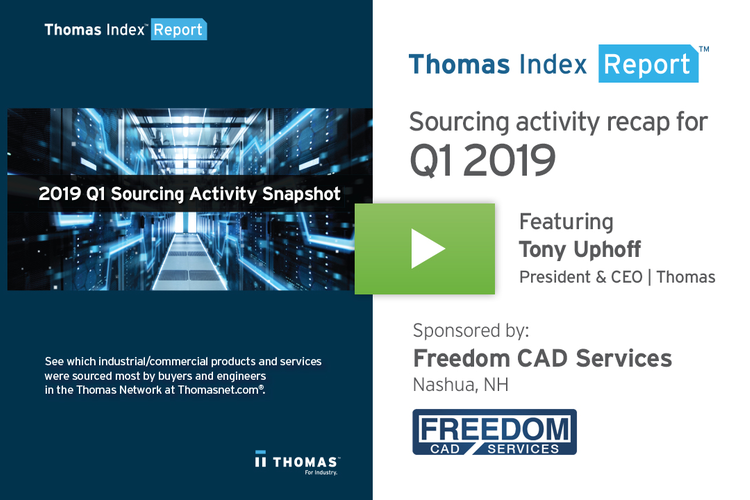 In fact, downloads of the BIM models offered by Building Product manufacturers in our Thomas Network have increased more than 1,000% over the past three years. BIM uses intelligent 3D modeling that enables architecture, engineering and construction professionals to plan, design, construct and manage buildings more collaboratively and efficiently than ever before. As BIM adoption grows, it’s quickly becoming the new paradigm in the construction industry. 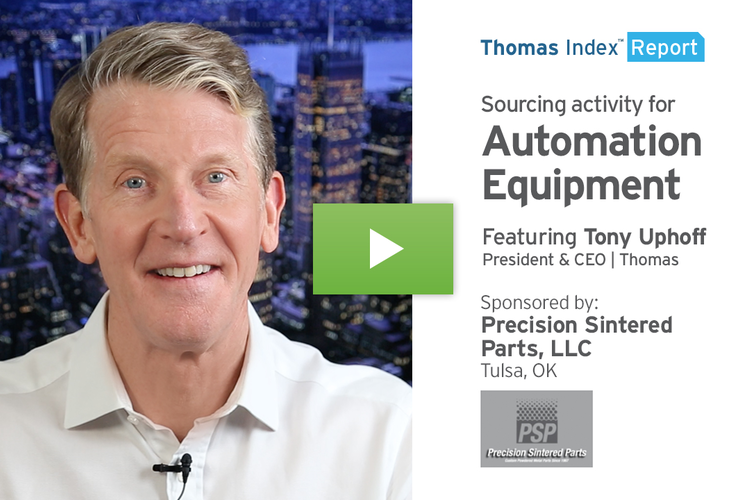 Moving on from Construction, here’s a look at the top 10 industrial product and service categories being sourced on the Thomasnet.com platform over the past four weeks. 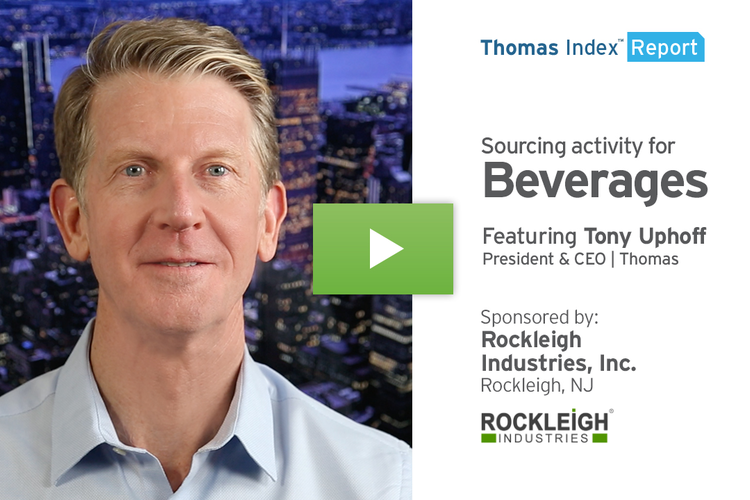 To get this weekly Thomas Index Report – as well as daily news and information for industry – please sign up for our Thomas Industry Update newsletter here.